A few of Tocal's convicts were repeat offenders who remained in the penal system until old age or death. Most, however, gained their freedom and rebuilt their lives in New South Wales, as the following examples show. 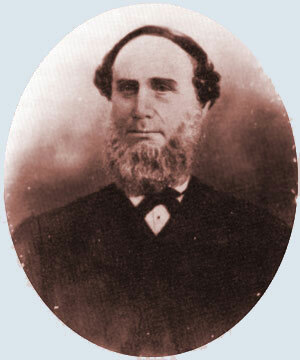 Thomas Hawker was a shoemaker who was assigned to Tocal in 1836 at the age of 19 with a life sentence for highway robbery. After re-offending twice he settled down and stayed on at Tocal after receiving his Ticket of Leave and marrying in 1844. Next year his first child was born at Tocal. Thomas and his wife then saw the light. They became devout Mormons and sailed to America in 1854 along with their four children and 70 other Mormons. They landed in California and lived in San Bernadino, raising a total of nine children. Thomas was naturalised in 1869 and died in San Bernadino in 1905. James Clements, Tocal's youngest convict, received a life sentence in 1833 for stealing a handkerchief at the age of 13. On arrival in NSW he was assigned to Tocal where he remained until about 1855. He received his Ticket of Leave in 1841, married in 1846 and gained a Conditional Pardon in 1847 at the age of 27. His first three children were born at Tocal. About 1855 the family moved to their own land at nearby Webbers Creek where he and his wife lived for the rest of their lives. James died in 1907 at the age of 87 and is buried at St Paul's Paterson. Right: James Clements, Tocal's youngest convict, who became a respected local citizen.